However, the North Carolina Supreme Court has determined this can be the result in certain circumstances. In Eastern Carolina Regional Authority v. Lofton (No. COAA14-212), the N.C. Supreme Court found that in an eviction case based upon criminal activity of the tenant’s guest, the tenant could not be evicted because it was her involvement in the basis for the eviction would be “shockingly unfair of unjust” or “excessive” and “unreasonable.” One could easily argue this was limited to the residential nature of the case (domicile), but the N.C. Supreme Court based its ruling on the basic four criteria that serve as a basis for ALL evictions, commercial or residential. The statute requires that in order for a landlord to evict a tenant, the right to remove the tenant must be specifically preserved in the lease, there must be clear proof of the event for which the landlord declares a default, the landlord promptly exercises the right to default and that the “result of enforcing the forfeiture must not be unconscionable.” That last requirement has heretofore not been defined or decided in North Carolina law. No more. 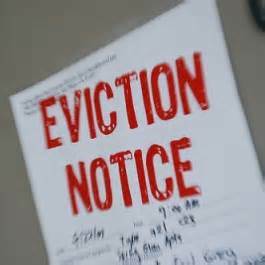 In Lofton, the N.C. Supreme Court found that examining the result of an eviction of a mother and her children for the unknown criminal acts of a guest was “unconscionable” despite the clear evidence of the other three criteria. Importantly, the N.C. Supreme Court did not limit its ruling to the case and left open the argument for other situations. So, what if you are a landlord with a tenant waiting to lease a retail space at a premium that is currently occupied by another start-up retail concept that has spent thousands of dollars on improvements (that will become the property of the landlord upon default) and taken out a loan that sacrifices all of the tenant’s funds to operate, but failed to provide monthly sales reports, or pay CAM reconciliations within the allotted time required? And what if that tenant fails also to cure these defaults. Unfair to evict them or even “unconscionable” ? And lest the industrial or office landlords feel immune, what if they have a UCC on all inventory and equipment that the tenant has spent their entire business and personal funds to make operational? What then? Granted, there are clearly arguments that the unconscionable standard does not apply to tenants as business people, but until that specific case is litigated, we are left with this situation.